Hello all! 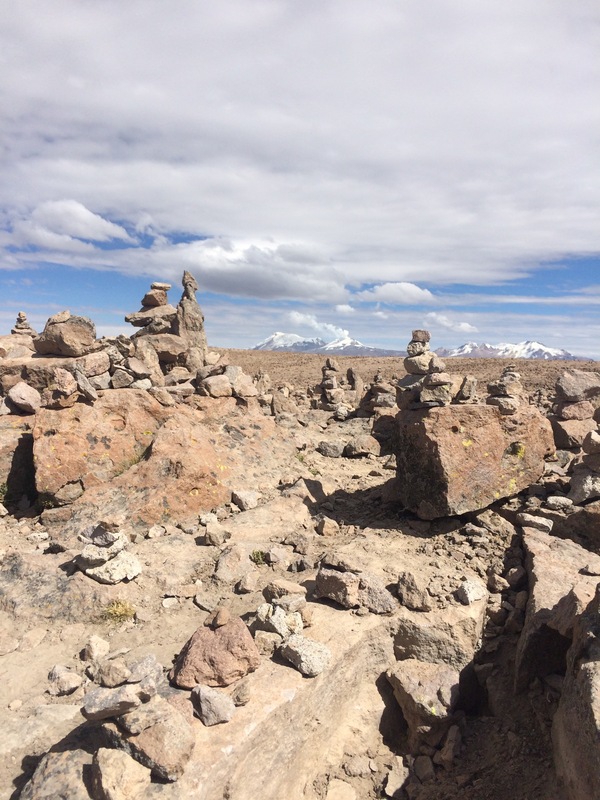 I am finally back stateside, which means I have reliable internet.The internet was so slow in Bolivia I could barely load pictures. So for the next several posts I will get you up to date on my vacation adventures. Day One- The anticipation had built up and I was a ball of nerves. I was going to do this…yikes! The first day of hiking was not too bad. Basically some rolling hills on a dirt path. A pretty good warm-up in my opinion. We made it to camp in the early evening and enjoyed a beautiful night under the stars. Day Two- By far the hardest day of the hike. We hiked for about 7 hours straight and ascended around 1000 meters. Hours 1-4 weren’t that bad. The scenery was quite pretty and I had a great playlist on my iPod. It felt like any other hike I had done in California. Then hour 5 came. I hit a wall. I was getting dizzy and I felt I could not catch my breath. I had to stop every 50 paces or so to rest and convince myself not to quit. Thankfully there were some encouraging people in my group and they got me through the “Dead Woman’s Pass” to the summit of the mountain. The sense of triumph I had was unbelievable. I did it! Day Three- I could finally enjoy the scenery. Since it is mostly downhill, I could focus on what was around me rather than concentrating on all of the pain I was putting myself through. 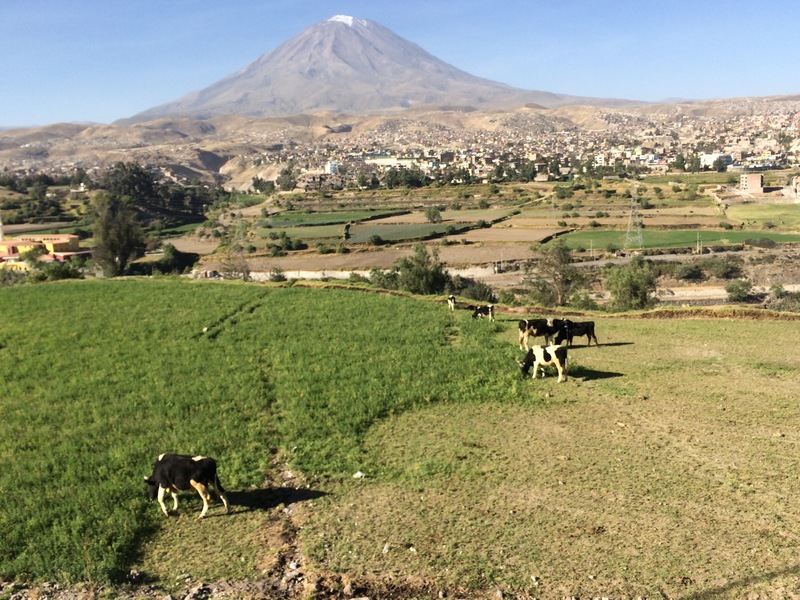 We got to enjoy some lovely ruins, snow capped mountains, and jungle-ish landscape. Aside from some blisters I was feeling good. Day Four- So on Day Four you wake up really early…like 4:30 AM early to make it to the Sun Gate around sunrise (entrance down into Machu Picchu). As we waited at the park entrance in the dark, I began to reflect on our adventure and that feeling of excitement stirred in me again. This was the moment I was going to lay my eyes on an another UNESCO World Heritage Site :). Machu Picchu is notoriously foggy in the morning so we were praying that the site would be clear and sunny. Boy were we not disappointed. The sun came over the mountain and it was beautiful. All and all I am so happy I did this. It was not something on my bucket list, but it was a personal achievement that I will always remember. Stay tuned readers for some more adventure recaps! 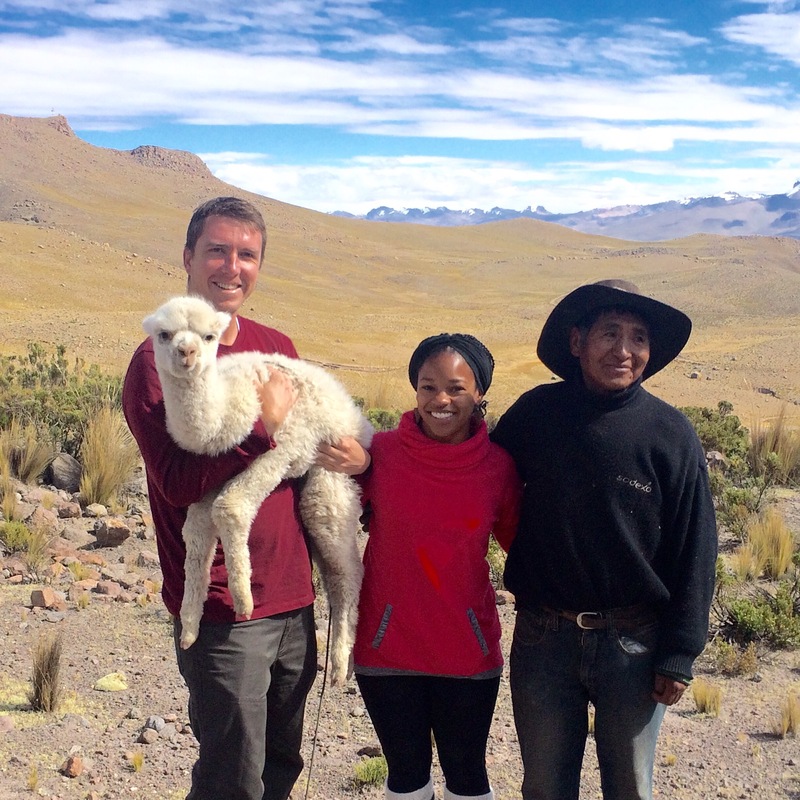 Peru has been such a pleasure to visit so far. 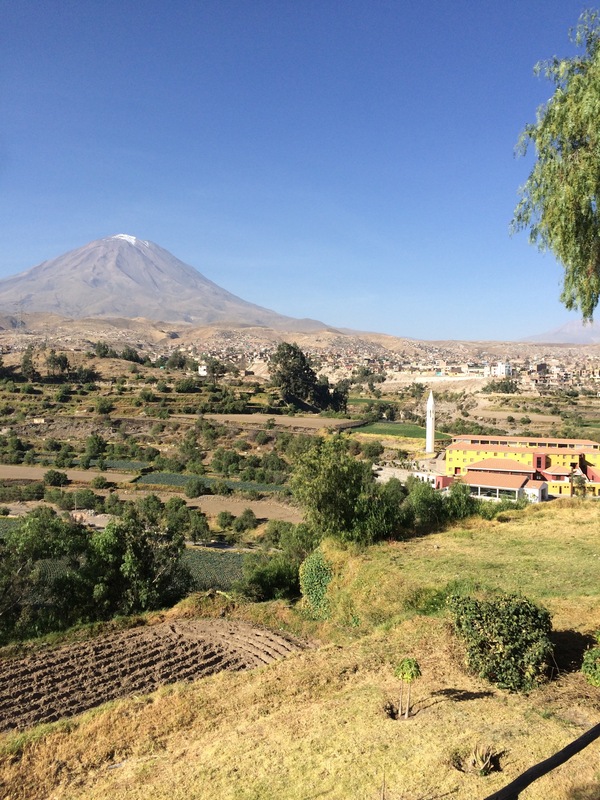 Recently, we visited Arequipa, also known as the “White City.” The nickname stems from the fact the most of the city has been constructed from white bricks made of volcanic ash. 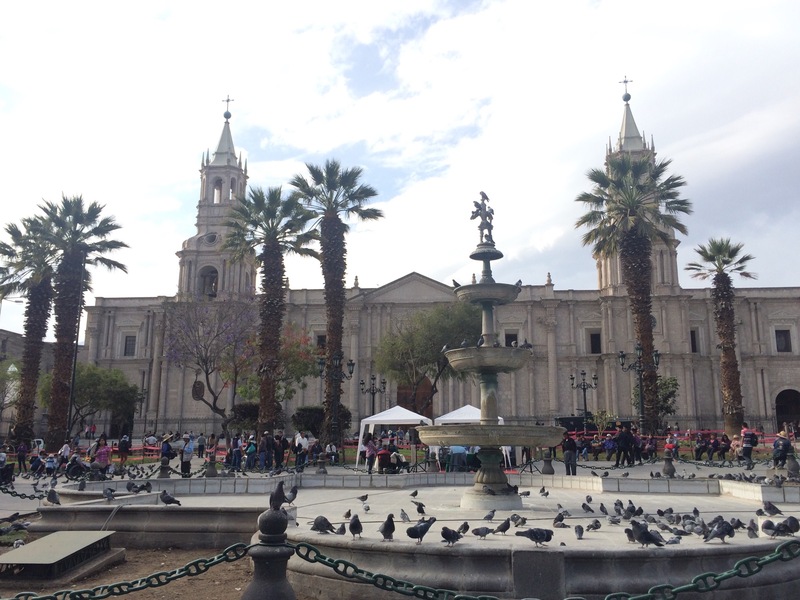 Arequipa was a little crowded, but it had some great architecture and 3 volcanos along the perimeter of the city. The next day we took a long ride through the Salinas y Aguada Blanca National Preserve on our way to Chivay. 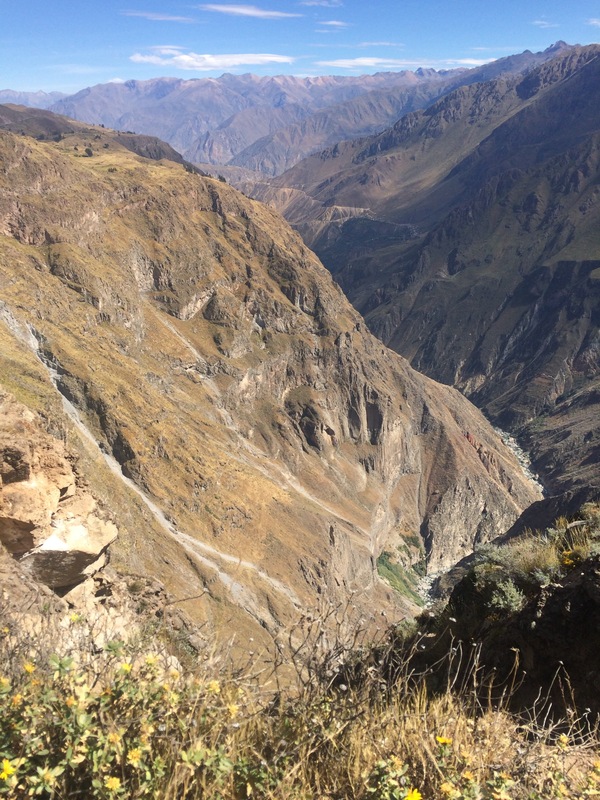 On this ride we reached super high altitude of over 3500 meters. High altitudes are no joke. I defiantly felt short of breath and had to keep reminding myself to walk slowly. 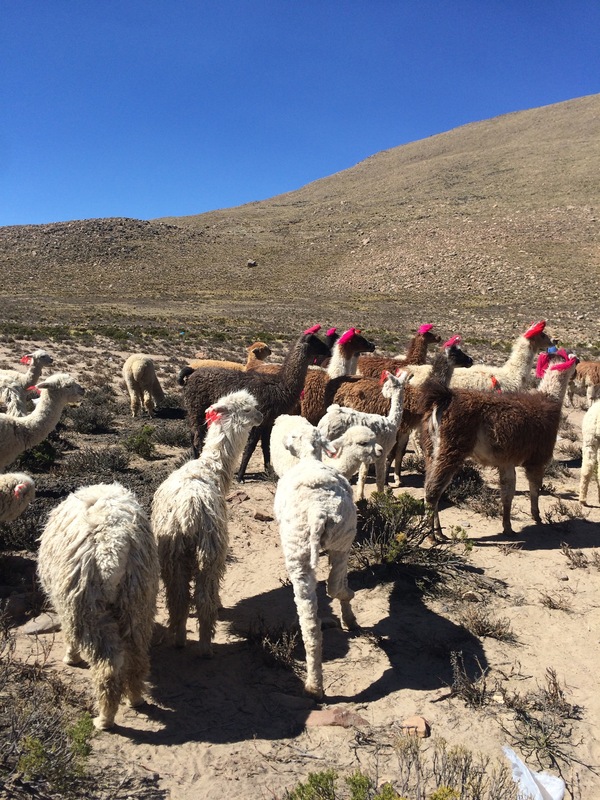 In the park, we saw lots of wild Llamas, Alpacas, and Vicuñas. 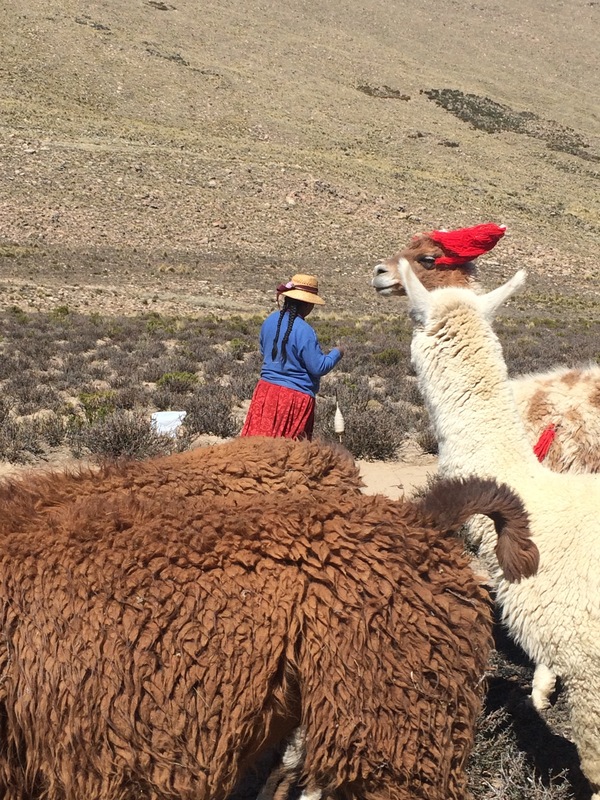 Check out the local Shepard woman spinning her alpaca wool using a drop spindle! 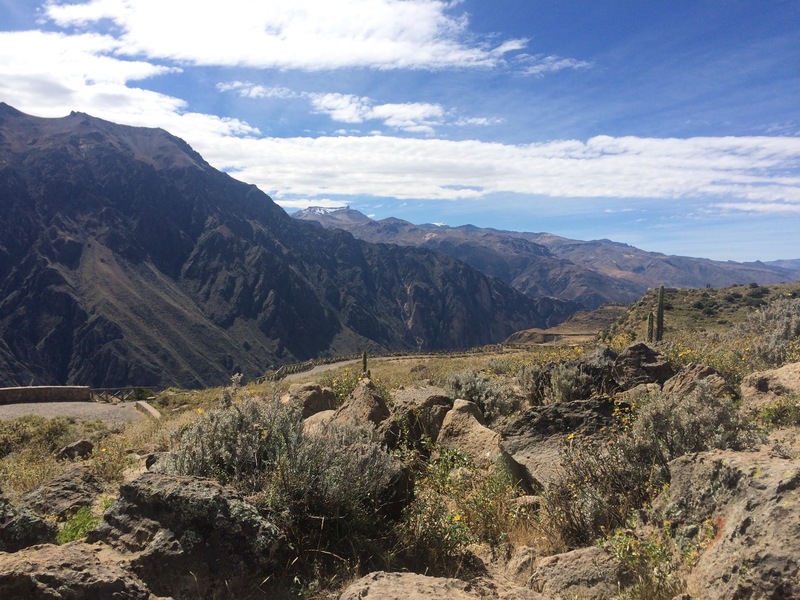 Chivay was just our stopping point to see the Colca Canyon, which is suppose to rival the Grand Canyon in Arizona, USA. 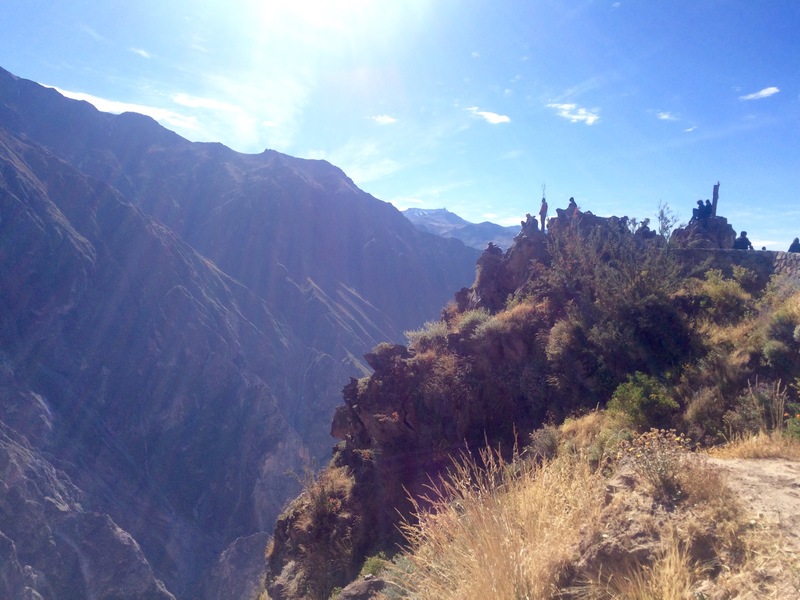 The Colca Canyon was really amazing. I felt like a tiny ant surrounded by giant mountains. We did a short hike along the ridge and spotted many Condors soaring along the cliffs. We also got some great views of the deep canyon and the surrounding flora and fauna. During all of these long bus rides I have managed to knit quite a lot. I have one Jaywalker sock done minus the toe stitching. I did modify the pattern a little bit so that it would be easier to fit over my foot when putting on or removing the socks. I used the smallest sizing for the ankle ribbing, heel, gusset, and foot. However, I used the medium sizing when knitting the leg section. One sock down and one to go! The next leg of our trip is hiking the Inca Trail to Machu Picchu 😬. 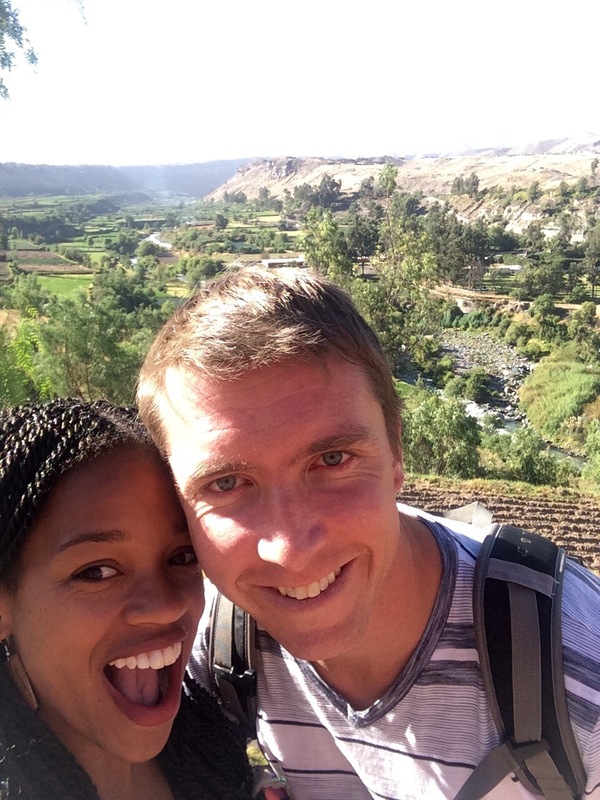 I am excited and nervous about the trek, but I am sure we will have a great time. Keep checking back for more adventures! 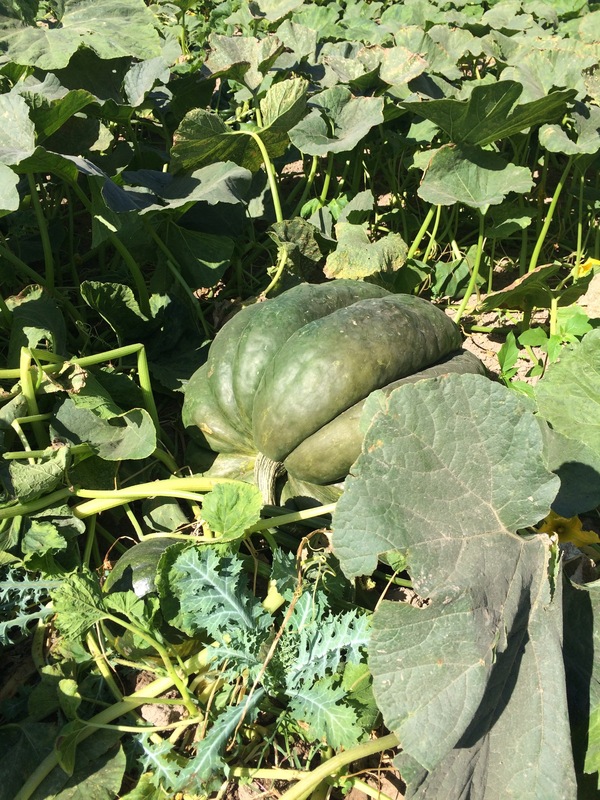 Pumpkins, Potatoes, and Volcanos! 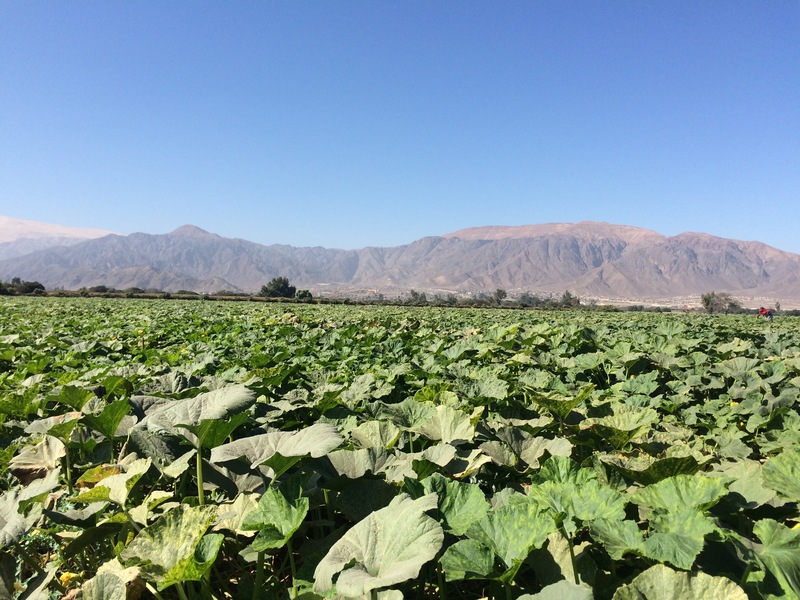 The land between Nasca and Arequipa were filled with lush crops and beautiful mountain scapes.